CHAMPIONS NEVER QUIT: Why I Wrote the Book, "Champions Never Quit: God Is Close By Your Side"
Why I Wrote the Book, "Champions Never Quit: God Is Close By Your Side"
Each of us has a testimony, each of us has a story, each of us has experiences where we learned something that is true. I felt extremely inspired to share my testimony in book form, of how I learned the most difficult thing you can do and also the greatest thing you can do in your life is to get back up when you fall or get knocked down or get hit hard or have the evils of the world come down on you. The most difficult and greatest thing you can ever do is to not give up. I wrote 30 pages back in 2006 and then didn't do much after that. Later during Christmas time of 2012 I felt more inspired than ever to write my testimony into book form. I felt a huge sense of urgency. I knew the only way I would be able to write this book is if I prayed and asked God to help me. So I prayed everyday for help in writing it and made a goal to write something everyday, whether it be a few pages or just a few words, but to write something each day. 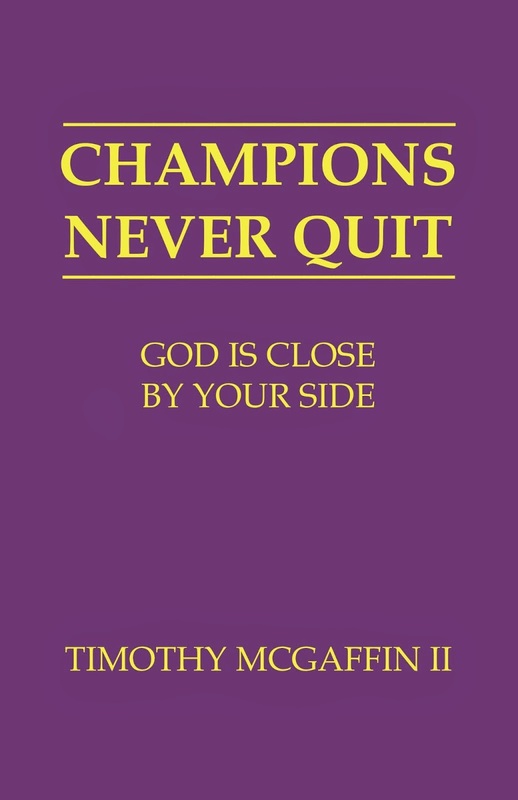 It is a true miracle I was able to write this book, "Champions Never Quit: God Is Close By Your Side", and I know that God helped me and he will help you too. My testimony or my story is not any greater or any better than anybody else. It is not a competition. Your testimony or your story is just as great or just as important. The reason I am so enthusiastic in the importance of sharing our testimonies is because before we were born on earth, there was a war in heaven. This war was a war of testimonies between God and Lucifer, between good and evil, between liberty and slavery, between free agency and tyranny. Every person on the earth today shared their testimony of the truth and chose the right side in the war in heaven but the war is not yet over, it is continuing here on earth. Lucifer who became Satan is so determined to get revenge that he is throwing everything he has at us. The way that we are going to triumph over the cunning and brilliant dark plans of Satan is by simply sharing our testimonies of the truth in words and actions. There are others who are depending on us, who we promised we would fight for liberty and with the help of God, we must fulfill the promises we made and not let anyone down who we promised to help. Some of the testimonies I wrote about in the book of those who shared theirs with me and helped me in my life to learn the truth that 'champions never quit' include: my parents and my brother and sister (The McGaffin 5ive), Pete Cummings, Michael Jackson, John Stockton, Karl Malone, George Lucas, my friends, and many others. You are so important in this war. Every time you feel inspired to open your mouth, -do it! Every time you feel inspired to share your story, your experiences, your talents, your testimony, -do it! No matter how hard things might get, remember that Champions Never Quit! Just hold on a little longer. God is working a great miracle and a great victory through you. The world will not see it, but God sees it and God sees you so don't listen to the lies of the world because God knows who you really are and will help you to forever triumph in the end. Do your best and God will do the rest and you will live forever as a true champion! You don't have to write a book, just do what you feel inspired to do and God will take your genuine and sincere effort and work a great triumph! Miracles are happening behind the scenes that we don't even know about, that we can't see and one day they will all be revealed. The greatest type of person you can become is a champion! 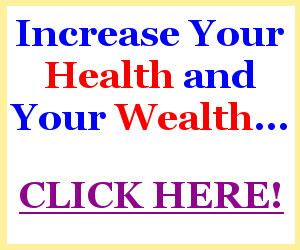 This time we each have on earth is the time where we each prove ourselves to choose and become a champion! This Is It! And remember to have fun as you share your testimony!